This week, Big Ten Network (BTN) employees voted to join NABET-CWA.The unit consists of 35 BTN employees who perform work as camera operators, jib operators, replay operators, as well as production control operators and floor directors. 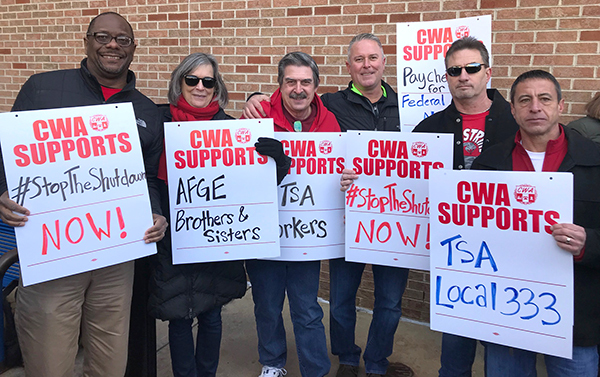 An upsurge in union organizing among journalists and other news industry employees was the focus of the NewsGuild-CWA Sector Conference last week in Orlando, Fla. Workers at more than 20 news outlets – 1,426 news industry employees – joined the NewsGuild in 2018. A panel discussion and a question-and-answer session at the conference shined a spotlight on NewsGuild organizing wins across the country and strategies to continue to successfully organize the news industry as it faces upheaval. 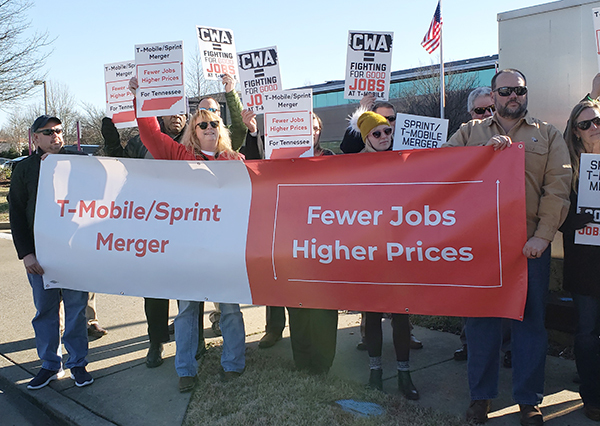 When workers at the Omaha World Herald learned in June 2018 that BH Media had turned over management of the paper to Lee Enterprises, it was "the unifying factor" that prompted them to take action, said Kiley Cruse, a journalist at the Omaha World Herald. The weekend after the announcement, a few workers got together to decide what to do. A friend at the Casper Star-Tribune, where workers had formed a NewsGuild unit four months earlier, said they should build a chapter, too. The group began meeting regularly at the library across the street from paper's office for "book club," Cruse said. When the votes were counted, the results were overwhelming: 71-5. 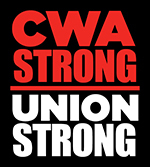 The panel also highlighted the resounding vote in favor of forming a NewsGuild unit at the Los Angeles Times in January 2018 that gave confidence to staff at other publications to launch union drives, the hard-fought win in bargaining with Law360 for a strong first contract, organizing success at the Florida Times-Union, and more. At the NewsGuild conference, a panel discussion at the conference shined a spotlight on NewsGuild organizing wins across the country and strategies to continue to successfully organize the news industry as it faces upheaval. Health insurance premiums have increased by more than 200% over the past 20 years, with costs pushed onto workers. Meanwhile, healthcare bargaining has become the biggest cause of strikes, lockouts, and concession bargaining for union members. 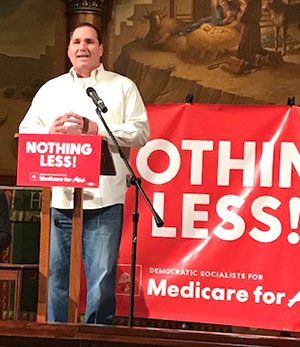 CWA District 2-13 Vice President Ed Mooney joined labor leaders at a town hall in Philadelphia to discuss how Medicare for All could help improve working people's leverage at the bargaining table. Watch the town hall by clicking here.